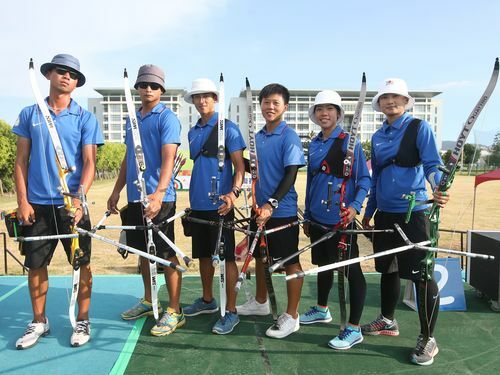 Taiwan is set to send six archers to the Olympic Games in Rio de Janeiro in August, the maximum number a country can enter in the sport in which Taiwan won two medals in 2004. 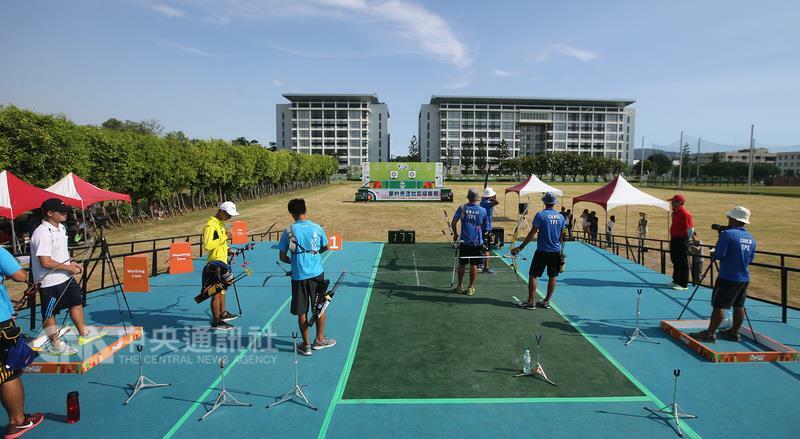 The National Sports Training Center in Kaohsiung recently simulated the Olympic competition by setting up a venue resembling that used in Rio. From left: Wei Chun-heng, Kao Hao-wen and Yu Guan-lin. 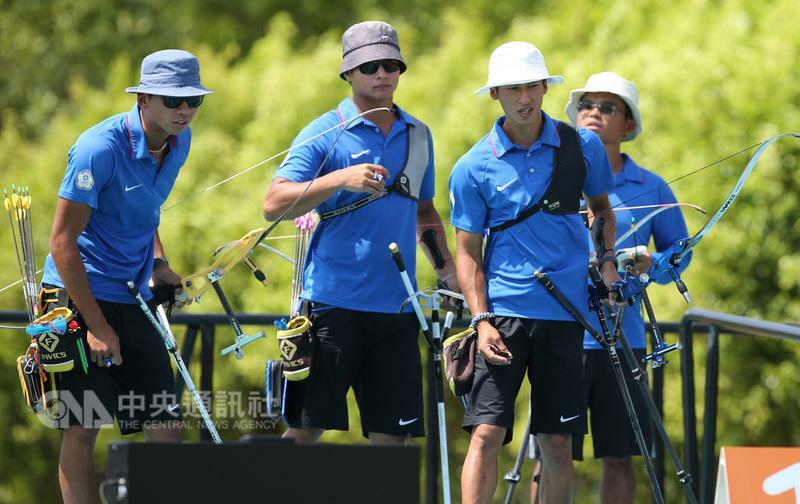 All three men -- Wei Chun-heng (魏均珩), Kao Hao-wen (高浩文) and Yu Guan-lin (余冠燐) -- and female archer Lin Shih-chia (林詩嘉) will make their Olympic debut in Rio. From left: Le Chien-ying, Lin Shih-chia, Tan Ya-ting and their coach Ni Ta-chih. 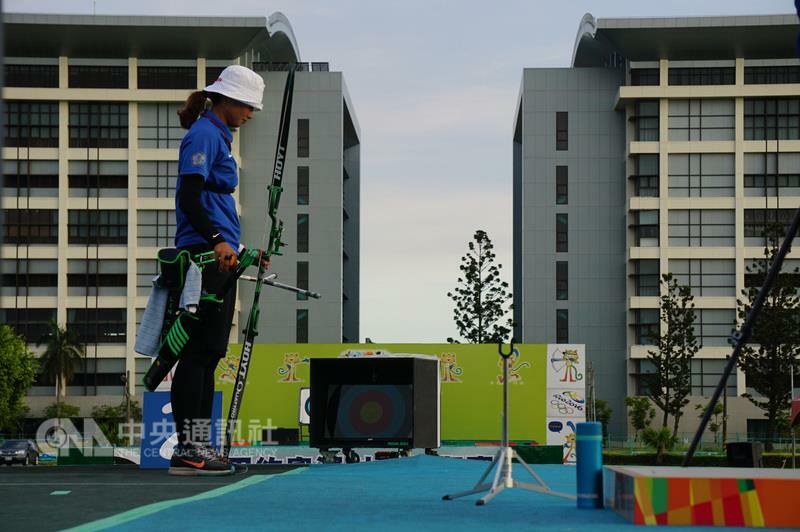 Female archers Tan Ya-ting (譚雅婷), ranked second in the world as of July 1, and world No. 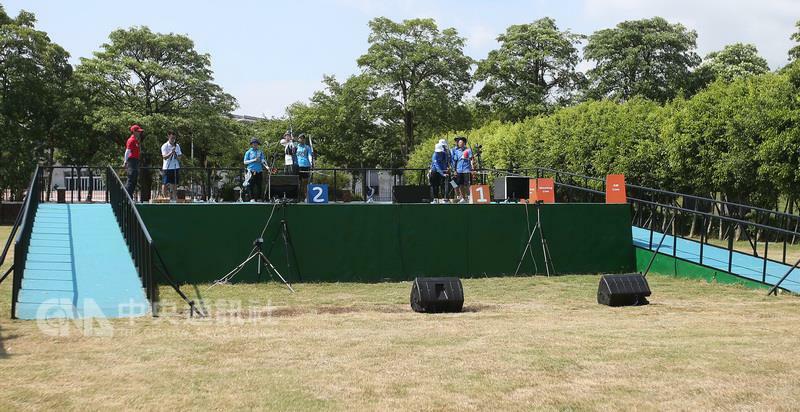 8 Le Chien-ying (雷千瑩) competed in the London Games in 2012. Ni Ta-chih (倪大智), coach of the women's team, said the athletes have grown stronger mentally after four years of training. 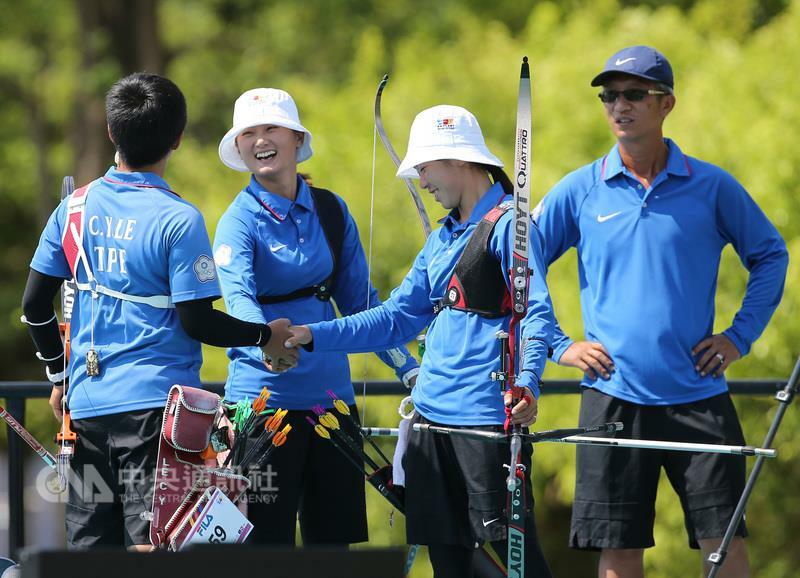 Taiwan's archery team had its best Olympic performance in Athens in 2004, bringing home a silver in women's group event and a bronze in men's group event.